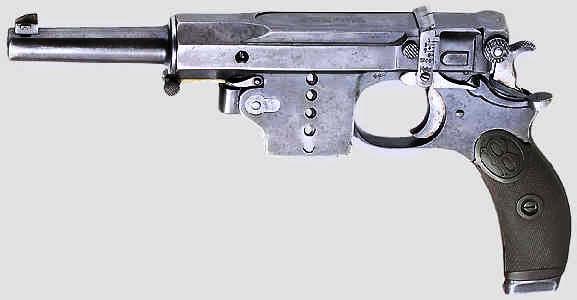 7.8mm Bergmann M1897 Military. This was a locked-breech design firing a powerful cartridge very much like the 7.63mm Mauser. Photograph used by permission of Horst Held.